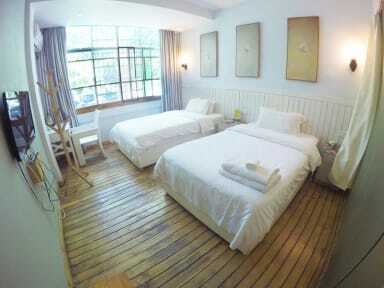 Featuring free WiFi, a restaurant and a terrace and a bar, Captain's House offers a commfortble accommodations in Sanya. Location was amazing, close to shops, beach and bus stop.local beer at the hostel will set you back 10¥ and there’s a great noodle place across the road. the staff helped me with absolutely everything I needed, and they are all so friendly! 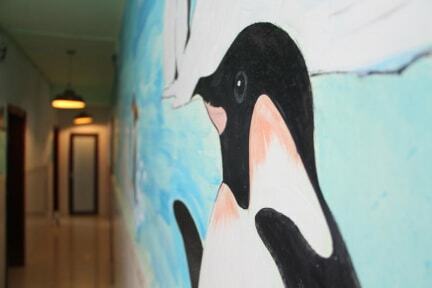 Very nice and warm hostel, the staff is helpful and takes the initiative to propose advices or services. The rooms are quite clean and well equiped, only have to think that there are no toilet paper and soap in the bedroom's bathroom, but at least every bedroom has its own bathroom. thanks for the help tom when I lost my phone on the beach. You made it light for me and assisted me on my forward trip to guangzhou. See you again! This place is fantastic. If you want to be a little but away from the big crowds at the main beach this is the place for you. It's about a 10 min walk to main beach and nestled into a little Chinese village area. I loved my stay. The location is the best selling point! You can walk to Dadong beach within 5 minutes. It's also right next to the mall with western food and a street filled with local Chinese restaurants too. The staff is helpful, although most didn't speak English which was a little difficult. The dorm room had a private bathroom which was a nice touch! I would stay again. The staff here was incredibly friendly. I was traveling with my friend there during the off season and they were very welcoming and accommodating to us. We originally booked a dorm room but after seeing there was no lock on the door, just on the lockers, we decided to change to a private room. The cost difference wasn't much. They were great about us changing rooms and really willing to answer any questions we had. If I come back, I'd like to check out the Captains downtown too. It was cheaper than the other hostels, but for some reason. For me since was in china long and speak fluently no problem, but main owner was never there and rest of staff didn't seem to helpful in recommending, organizing and so on. Didn't meet any other traveller in the whole house during whole stay. No common area to gather. No other services at all. Plus: Very closed to beach. Clean. Friendly. The staff tried to help and were sweet and all but they were mostly kind of hopeless and didn't really know the correct room fee or tell us the correct time of when to be back with our scooters. The address found on google maps when typing in Captain's House is also incorrect, it is NOT in the center of the beach city area but further up the Luling road. No front door to the hostel (let alone one that locks), no locks on the lockers, and when I was there my room was hot so the people I was staying in left the door to the room open overnight. The staff was extremely disorganized- they thought I didn't have a prior reservation (although I did), and charged me for the wrong number of nights not once, but twice. My shoes got stolen even though I bought them for only 39 RMB (about $5 US). The location is great, though- right near the beach.